Since right around the time Amazon launched the first Kindle, Sony has had trouble maintaining a place at the front of the eReading world. In a way this is really a shame, since it was the Sony Reader that first brought E INK reading devices to the public in a meaningful way. I still have an old Sony Reader PRS-500 from 2006 that works perfectly, for example. 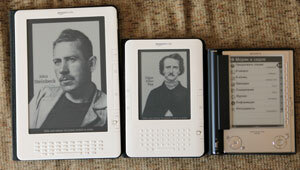 They set the standard when it came to initial performance and pricing for early eReaders. Still, over the past 4-5 years Sony as a company has failed to keep up with their competition in terms of hardware pricing and content availability. As these are pretty much the most important parts of successfully marketing an eReader, it’s no surprise that the first thing people do when they want to read a book is rarely “open the Reader app”. Efforts are clearly being made to turn this around, however, both with the newer Reader hardware and the recently released Reader application update. This software update is now available for PC and Mac, bringing some features that the product line has been in dire need of for some time. With the new program you can organize your library, tag eBooks for easy searching or sorting, jump to real page equivalents while reading, enjoy tabbed browsing, and sync your reading information between devices using Cloud Sync. The appearance is quite nice as well, and makes the PC and Mac apps consistent with the Sony Tablet equivalent. Now, this is not in any way a revolutionary move. Anybody familiar with eReading will recognize these features as basically what has been around for some time now on both Kindle and Nook platforms. The fact that they are not right at the forefront of innovation at this time does not make this inconsequential, though. Right now there are, for the most part, four major players in eBooks. 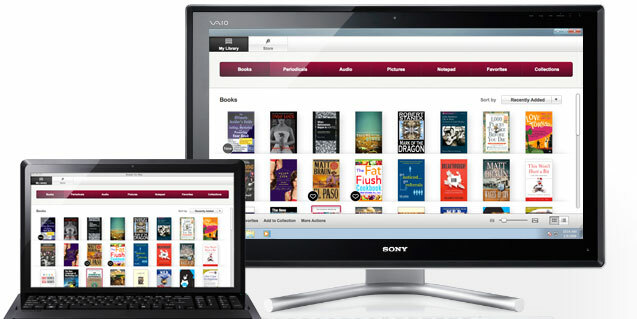 Amazon’s Kindle, Barnes & Noble’s Nook, Kobo, and Sony. Anything that keeps the options open for consumers and heats up the competition a bit is going to be good for everybody involved. This is especially true moving forward as eReading companies attempt to secure places as Tablet PC providers. Barnes & Noble has had some noticeable success with the Nook Color as a reading device, and Amazon seems to be exceeding all expectations with the response to their upcoming Kindle Fire media tablet. The Kobo Vox is the first of these to offer an open Android experience, but it remains to be seen if this will be a smart move. Sony, coming from a less specialized background, already has a tablet presence and experience with the wider market. They are still behind in pricing, of course, but that’s true of the majority of the tablet market with less than a month having passed since Amazon upset the balance. Will this make a big difference going forward? It’s hard to say. The Sony Tablet S hasn’t exactly made the kind of impression that one would hope for if it were to compete, but that doesn’t mean we can necessarily rule them out yet. We can only hope that Sony is quicker to respond to Amazon’s latest moves than it has been previously. For some time now the Kindle, while retaining its mostly uncontested status as the superior eReader choice for consumers, has been facing increasingly able competitors. The new Nook Simple Touch has made a splash in the US by essentially being the Kindle without a physical keyboard (though admittedly that’s oversimplifying the impressive progress B&N has made since the Nook Classic). The Kobo eReader does everything the Nook can do (and almost as well in most cases) but isn’t restricted to the US. In some ways the only thing that Amazon has still got going for the current generation of their eReading device is the combination of low price and great eBook selection. While all this might change for Amazon come October, if sources like the Wall Street Journal are to be believed, there hasn’t been a better time for Sony to get back in the game. Once, they were the entirety of the eReading marketplace. They had the best, and indeed the only, dedicated eReaders on the market. Lately, unfortunately, a combination of inability to keep up with competitors’ price drops and a lack of expected feature updates has been a problem and the Sony Reader is largely only brought up as a Nook alternative for people who really want to get library eBooks right this minute through OverDrive. This October they’re jumping back into the ring with the Sony Reader Wi-Fi PRS-T1. Admittedly still not the most catchy brand name in the world, but that is one of only two shortcomings that seem obvious at this time. The price is right, at just $149, bringing the Reader line back into sync with the rest of the industry after all this time. The touchscreen display, which was actually something that Sony started with eReading devices, will meet current readers’ expectations for modern devices. 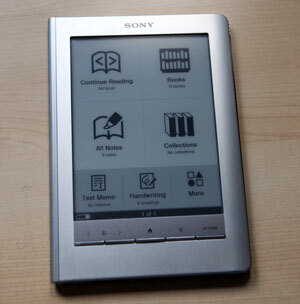 They have even finally, as the name suggests, brought wireless connectivity to the Sony Reader! It’s wonderful news. The fact that this should be the lightest eReader on the market doesn’t hurt in the slightest either, of course. While the new Sony Reader will definitely have all of the features that we have come to expect, from an E Ink Pearl screen to battery life better measured in weeks than hours, it does do a couple things that should really excite people. This is the first major eReader at the price point, for example, to allow users to take notes in-text with a stylus. It will have expandable memory and come in a variety of colors. One limited edition offering will even include bundled Harry Potter eBooks. Things are looking up for Sony. If not for their connected Reader store, the other major shortcoming that I mentioned, Sony would be right in line to join the Nook and Kobo as competition for second-best eReader line. Sadly, until something happens to turn that around, it’s hard to see this as a long-term success story. While independent sources like Project Gutenberg and Pottermore remain platform independent, it has proven increasingly true that customers want brand stability. The Kindle provides it, and so far the Reader store isn’t quite there. As you can see, according to Google, ever since it was launched Amazon Kindle had the lead by both search volume and news reference volume. This held even when competing readers were launched. That was surprising even to me. 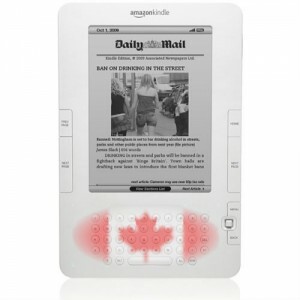 The Kindle 2 International continues on its path to global coverage, this time reaching Canada. The International Kindle, with its free global roaming wireless connection has attracted a lot of international buyers and Canada was one of the many countries where the launch of the device is highly anticipated. Amazon declared earlier last week that Canada is now amongst the countries that they officially ship to. While Amazon’s delay to support a nation so close to the US has raised a few eyebrows, it has to be understood that international trade laws can be pretty stringent. So finalizing business deals sometimes takes an unnaturally long time, which is lamentable but unavoidable in certain situations. Now the wait is finally over for Canadians and Kindles have already started being shipped up North. If there was ever an eBook reader that a large number of international customers wanted, it has to be the Kindle. And this fact is not lost on Kindle’s competition. 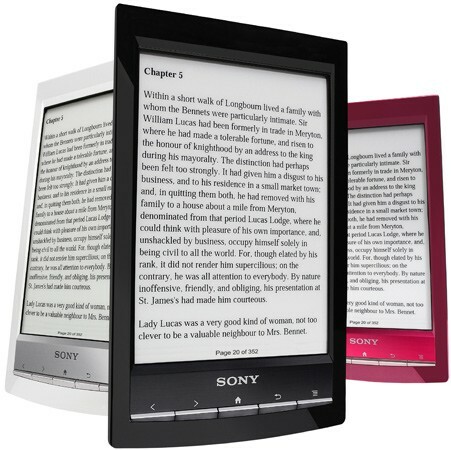 Sony has followed Amazon to Canada and has started shipping their own eBook readers there. But till date Sony lacks the kind of content that Kindle readers have easy access to with each and every Kindle. So it doesn’t look like Amazon will be threatened by Sony’s readers anytime soon. But that does not mean that Sony will not do anything about it. As it turns out, Sony is planning its own online store, called Sony Online Service. 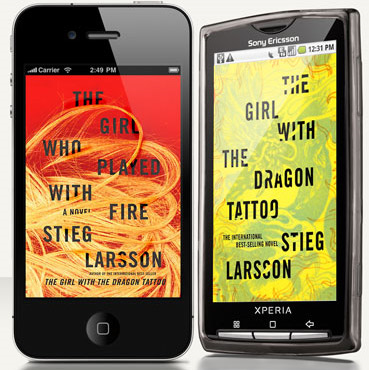 Their primary target is iTunes but it is likely that they would want to provide content for all their devices and that logically should include Sony’s eBooks readers. However, if their content is as limited as their eBook reader and as unimaginative as their online service name, Amazon will have the last laugh on this one. Here’s some bad news for Amazon and the Kindle. Best Buy is planning on selling the iRex and Sony Reader in their stores. Now not only will customers be able to see the eReaders physically on display, but many people will just come upon them out of happenstance. This blog has made the point before that Amazon should sell the Kindle in more places. Best Buy is the perfect kind of place to sell eReaders to people who would normally not even think about them. Best Buy, after all, is not generally thought of as a destination for tech-savvy people. Their bread and butter customer is someone who comes in wanting a computer/tv/etc, but doesn’t know a lot about it. Now with the iRex and Sony Reader, people who would never normally be early adopters will hold the devices and have a sales rep walk them through the features. I wouldn’t be surprised if eReaders become a big holiday gift this year, even among those with no interest in gadgets. According to the article, the iRex’s wireless will also be entirely paid for in the cost of the device. But, in a followup to Andry’s comments, it turns out that the iRex will not include web browsing functionality. So when they say the cost of wireless is included, they really mean the cost of downloading books that you are already paying for. It so happened that I purchased Sony PRS-505 for my Dad. I chose Sony eReader because my Dad living outside WhisperNet coverage and having very little knowledge of English language (and therefore no interest in any books that are sold on Amazon.com) effectively negated all benefits of Amazon Kindle. On the other hand Sony eBook reader is extensively used by Russian community so on top of Unicode fonts there’s also complete localization of UI available in Russian (and in many other languages). A lot of credit for this should be given to Igor Skochinsky who also made Unicode Font Hack possible by figuring out a way to create custom updates for Amazon Kindle. Therefore I’ve had a chance to briefly compare the Sony reader with both Kindle 2 and Kindle DX side-by-side. I would like to share my impressions on the subject. It is in no way a complete review – just an opinion. But perhaps someone will find it useful. Exterior: Although I found Sony PRS-505 more visually pleasing than Kindle, I found pagination buttons of Kindle more comfortable. This is kind of a big deal since flipping pages constitutes 95% of eBook reader usage. It is nice that Sony eReader comes with protective cover included. I also purchased cover with light prism. It looked really cool all the way up to the moment when I turned it on. Then I found that it somewhat reduces text contrast. On the bright side, it leaks much less light than Mighty Bright XtraFlex that I use with Kindle. I also found 10 numerical buttons on PRS-505 handy and highly functional. Display: Both Kindle 2 and PRS-505 sport 6″ eInk displays of the same resolution of 600×800. They differ in the number of supported colors: 16 for Kindle vs. 8 for Sony and in contrast which I subjectively found to be higher in the Sony reader. Storage: Kindle 2 sports 1.4Gb of internal flash memory storage usable for books, while Sony device has significantly less (192Mb) but compensates for it by having 2 expansion slots that can potentially add 10Gb of additional storage. Plus you have the ability to swap memory cards that you carry in your pocket making the storage potentially unlimited. Not that it really matters because as I’ve shown in Kindle 2 vs. Kindle DX comparison, you’ll need to spend around $8,500 to completely fill up 1.4Gb of Kindle storage with books. So unless you use your reader for viewing manga as collection of JPEG files or go on solo many times around the world boat trips without a computer you really should not care either way. Software: Sony seems to resume from sleep mode faster than Kindle. It also offers more in terms of organizing your book collection. Latter is a major pain point and probably the most requested feature by Kindle users. I would very much like Kindle to do a better job at organizing the books I purchased. There really is no reason for this feature to not be there given that Kindles have fully functional keyboard that would make naming collections and tags really easy. On the other hand Kindle sports some features that are not found in its Sony competitor like text-to-speech and web-browser. PDF Support: While Kindle 2 only supports PDF via conversion, Kindle DX has a native support like the Sony does. While I didn’t have a chance to explore in detail PDF capabilities of Sony PRS-505 like I did with Kindle DX, I did try one PDF file. I have to admit that Sony does a better job at supporting PDF than Kindle because PRS-505 supports internal hyperlinks and table of contents as well as reflowing text to accommodate different font sizes. 9.7″ screen size of Kindle DX that can also work in landscape mode provides a saving straw because it makes reflowing unnecessary for many PDF files. PC Software and book buying experience: I didn’t install the Sony software as my Dad would have no use for it (he only plans to read Russian classics that are freely available on the Internet) and I didn’t need to install Amazon software because there isn’t any. Although it may seem unfair (since I haven’t tried the Sony way) I’ll say that comparing book buying experience for Kindle and Sony would be like beating a dead horse. It’s the main selling point of Amazon Kindle and it’s what made it so successful. P.S. : I’ve alredy finished this comparison review when I discovered a new aspect of these devices I wasn’t aware of. Kindle turned out to be much better for non-English speakers who want to learn the language than Sony PRS-505 due to built-in dictionary and text-to-speech capability. My sister started reading English books with intent of enriching her active vocabulary. Built-in dictionary lookup saved her tons of time each time the ran into an unfamilar word. Text-to-speech gave her a very good idea of how each word sounds as she read along with the device. So Kindle although lacking free Internet connectivity outside the US can still be perfect for some foreign users. When I get my hands on newer Sony eReader models I’ll see how they stack up against the Kindle and post some reviews as well.